A majority of the Senate's Democrats called on the two-term lawmaker to quit amid new allegations of sexual misconduct. With the resignation of Minnesota's Al Franken, Republicans may have just been handed a possible takeover opportunity in a state President Trump lost by just 40,000 votes. Minnesota Gov. Mark Dayton says he hasn't decided who he'll appoint to fill Sen. Al Franken's seat ahead of an election next year. Franken said Thursday he would step down in coming weeks after allegations of improper behavior from several women. Dayton says he expects to make and announce his decision in the next couple of days. 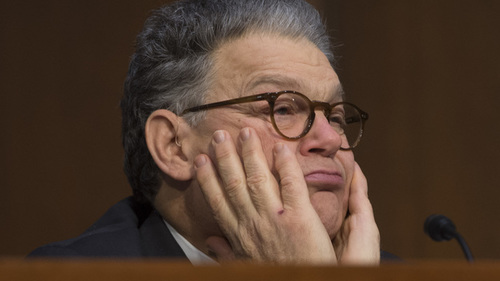 His temporary appointee will serve until an election next November decides who will complete the remainder of Franken's term through 2020. Sen. Al Franken's announcement Thursday that he will resign triggers a mad-dash special election in 2018 to finish the Minnesota Democrat's term, with former Gov. Tim Pawlenty seen as a top possibility for Republicans to cash in an unforeseen pickup chance. 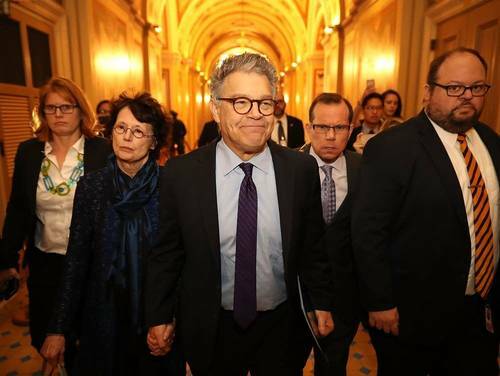 Franken said he would step down "in the coming weeks" after a series of sexual misconduct allegations caused support in his own party to collapse. Minnesota Gov. Mark Dayton — a Democrat — will appoint a replacement to serve until the November 2018 election that would fill the seat until Franken's six-year term expires in 2020. Dayton said he hadn't decided on an appointee but expected to do so within two days. A top candidate would be his lieutenant governor, Tina Smith, a former chief of staff who had considered and then rejected a possible governor bid next year. Meanwhile, eyes are already turning to the 2018 race. 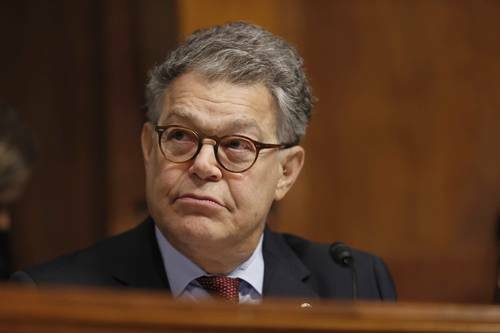 For Republicans, Franken's exit could saddle Democrats with enough baggage to help the GOP break through in a statewide election for the first time in more than a decade. Republicans haven't won since Gov. Tim Pawlenty won a second term in 2006. Top Republicans quickly contacted Pawlenty and former Sen. Norm Coleman, who narrowly lost the 2008 Senate race to Franken after an extensive recount. Coleman immediately said he would not run, posting on his personal Facebook page that he's focused on his chairmanship of the Republican Jewish Coalition and other roles. But Pawlenty has been weighing a return to elected office since he chose not to seek a third term as governor in 2010, and after mounting an unsuccessful campaign for the presidential nomination. He's been meeting with party leaders, shuttling between his home in suburban Minneapolis and Washington, where he works as CEO of the Financial Services Roundtable. State House Speaker Kurt Daudt has been openly considering a bid for governor for months. After narrowly losing to Dayton in 2010, Rep. Tom Emmer, a Republican representing Minnesota's most conservative congressional district, could look at another statewide run after two terms in the House. Democratic candidates for governor could be best positioned to switch to a Senate bid, having spent months connecting with party activists and the donors who would be critical for a costly election. State Rep. Erin Murphy, longtime Minnesota Rep. Tim Walz and St. Paul Mayor Chris Coleman are all running. For both the Dayton appointment and in next November's election, female candidates would appear to have an inside track as a clear response to the allegations against Franken. Franken himself appeared to push for a woman to replace him, saying Minnesota needed a senator who could "focus all her energy" on the job. Smith was the name most frequently mentioned for the temporary appointment. She is a longtime political operative known largely for behind-the-scenes work, having been Dayton's chief of staff from 2011 through 2014 before stepping up as his running mate. She ran former Vice President Walter Mondale's brief U.S. Senate campaign in 2002 after Sen. Paul Wellstone died in a plane crash. She also served as a top executive at Planned Parenthood in Minnesota, North Dakota and South Dakota. Dayton could also look to a pair of fellow Democratic statewide elected officials: Attorney General Lori Swanson or State Auditor Rebecca Otto. Dayton also could choose to send a loud signal against sexual harassment with his appointment, naming someone such as Rep. Erin Maye Quade to Franken's seat. Maye Quade is a Democratic state lawmaker who, along with other women, accused two fellow state lawmakers of sexual harassment, resulting in their resignation last month. 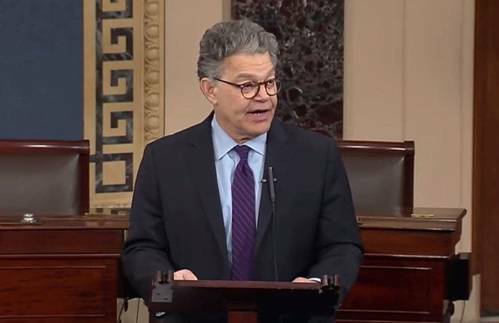 Here is a complete transcript of Al Franken's resignation speech, delivered on the Senate floor the morning of Dec. 7, 2017. 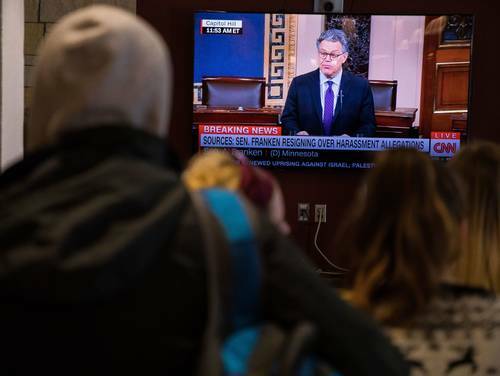 Tell MPR News: What is your reaction to Sen. Franken's decision to resign? Democrats in Duluth and northeast Minnesota were critical to Al Franken's razor-thin victory in 2008 in his first election to be a U.S. Senator. Now, for many, it's hard to see him leave.